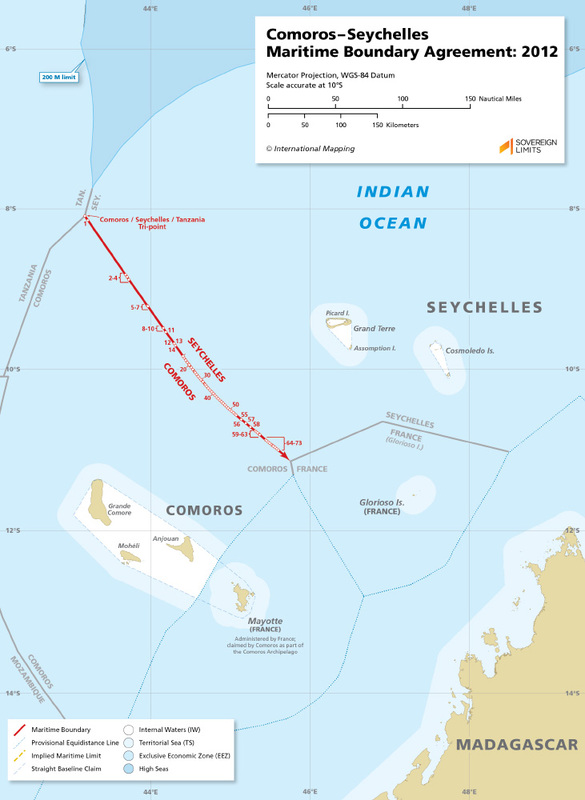 The maritime boundary between the Comoros and Seychelles was established in a 2012 agreement and extends for 169 nautical miles along a series of geodesic segments that were constructed based on the principle of equidistance. The boundary also includes a tripoint with Tanzania that was created in a separate, trilateral 2012 Agreement. Both of these Agreements have yet to be entered into force.